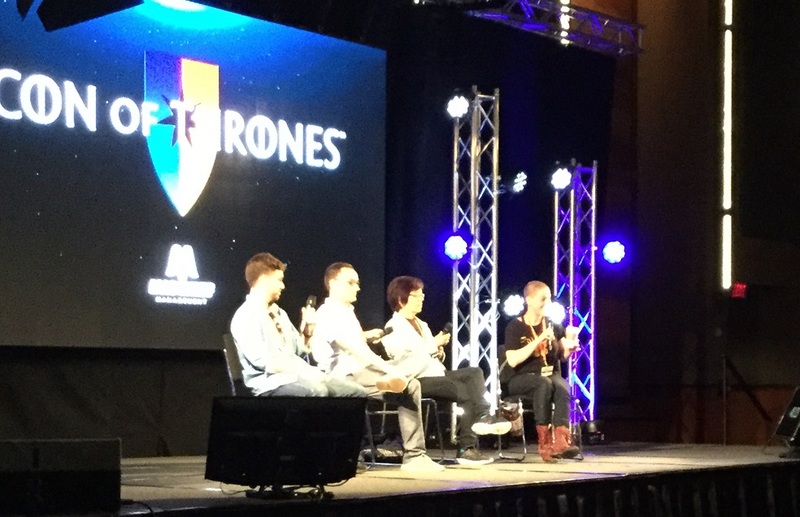 For me personally it was a much different convention experience, since last year I was fortunate enough to have been invited as a panelist on one panel – the Night’s Watch panel with the Bald Move podcasters as my co-hosts (and Sue and Oz from Watchers on the Wall.) This time I was on six panels. How did that happen? 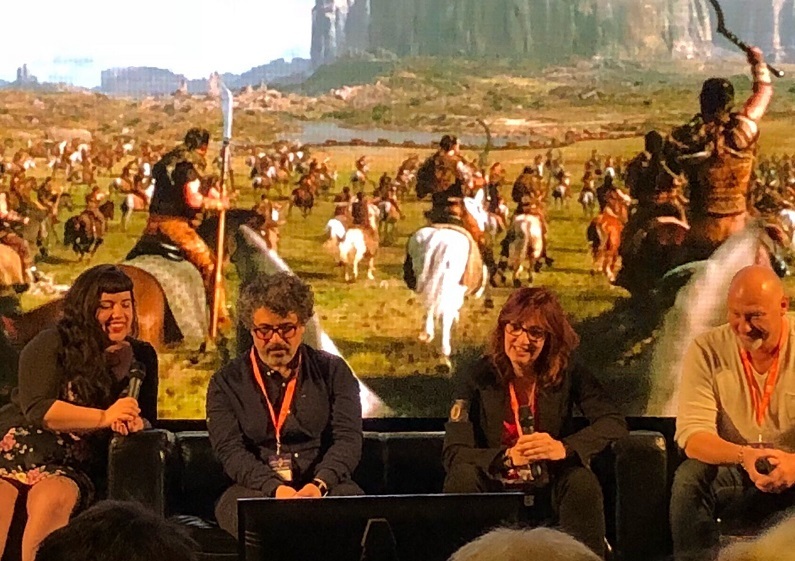 In the time in between conventions, I had become a feature writer for Watchers on the Wall (this was a big deal to me) and I volunteered to be on four panels. Somehow I was talked into another one, and then invited to be part of the big Watchers on the Wall live podcast panel. My wife Lisa, because she’s smart and poised and is also into Game of Thrones, was invited to be a panelist on two other panels. So my convention schedule was heavily set. The convention had learned some lessons from last year. I think that there was more programming, with more panelists and a bigger variety of subject matter experts to run them. I talked to several people with whom this was their first time presenting anything. During the conventions evenings, an episode would be shown on the large main stage screen with Burlington bar regulars and any of the celebrity guests who were up for some fun, on-stage to talk during the episode. This might seem to be a Mystery Science Theater 3000 type vibe, but it really was more like having a loud drunken party with Game of Thrones playing, and people occasionally pointing out their favorite bits. I am really under-playing how entertaining this was. It was very entertaining. Especially Sam Coleman (Young Hodor) talking about specific apocryphal acting techniques, and Miltos Yerolemou (Syrio Forel) just being a delight – especially during the fight between Arya and Brienne. The hotel hosting the convention was the Hyatt Regency Dallas and I’ve never been to a hotel that extended such a welcome to convention goers. Days before the convention, I received an email from Julie, the Guest Experience Manager, a very regal and Game of Thrones-specific email pre-welcoming me to Castle HRD (Hyatt Regency Dallas.) When my wife and I arrived, Julie was greeting guests dressed as Daenerys Targaryen, accompanied by her dog Leo. Leo was dressed as a dragon. Leo had quite a presence in the hotel. The hotel didn’t do anything crazy, but there were many light touches that made me feel that the hotel was into the convention being there. Besides the guest experience manager and her dog in cosplay, there was a large map of Westeros and Essos installed on the floor, candy in Major House sigil containers (with red candy for Targaryens, black licorice in a Baratheon bowl, etc.) and specially named drinks at the bar. I’m not good at counting crowds, but the attendance seemed roughly the same as previous year’s. Like last year, the final programming of closing ceremonies late Sunday was very well attended. Most convention goers had stuck around for the very end. It was a solid second year for the convention, and I’m looking forward to next year’s. It’ll be interesting, since I assume that the show will have just ended with its final season when Con of Thrones 2019 rolls around. The lack of the show doesn’t mean that fan gatherings will necessarily not happen, and of course more of the cast should be available to attend conventions, since there will be no more plot details or secrets to accidentally spill. With any luck, the proposed successor shows for Game of Thrones (not necessarily ‘spin-offs’) will be able to keep excitement among the fans, so they’ll continue to want to get together at gatherings. Because the gatherings this year and last year was very special. Besides being able to meet my favorite podcasters, I got to meet in real life more of my Twitter comrades than I was expecting. There was quite a sense of community and family at the convention, and I appreciated the positive and collaborative aspect that everyone brought with them. The closing ceremonies featured a brief segment of convention goers giving some quick testimonials of their weekend experience, and it was surprising moving and emotional for me. So I hope we can keep this up. I try to provide attribution for images when I can, unfortunately some of the images used came from Facebook where they had no doubt been aggregated from other locations, like the CoT 2018 app, or from articles written about the convention. I took the photo at the top, with my wife joining Watchers on the Wall writers and Michael from the /r/asoiaf subreddit in discussing Theon. 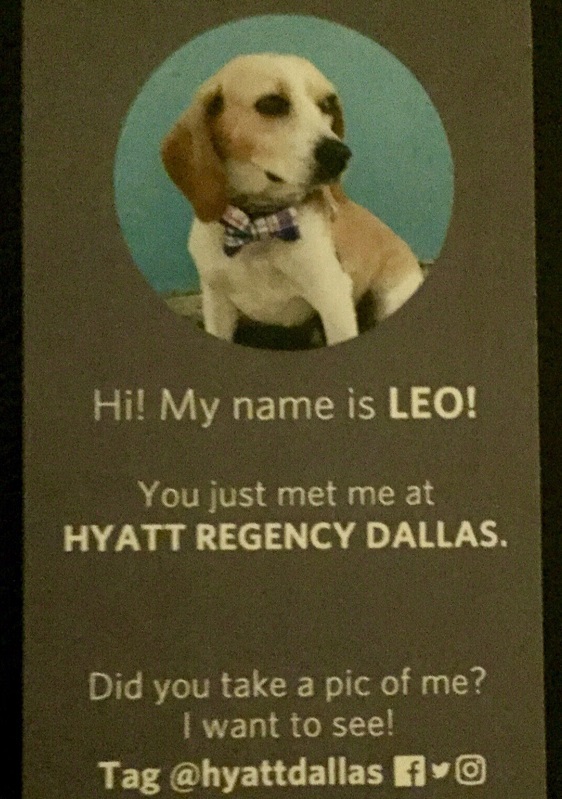 My wife took the picture of the image of Leo the Hyatt Regency Dog. 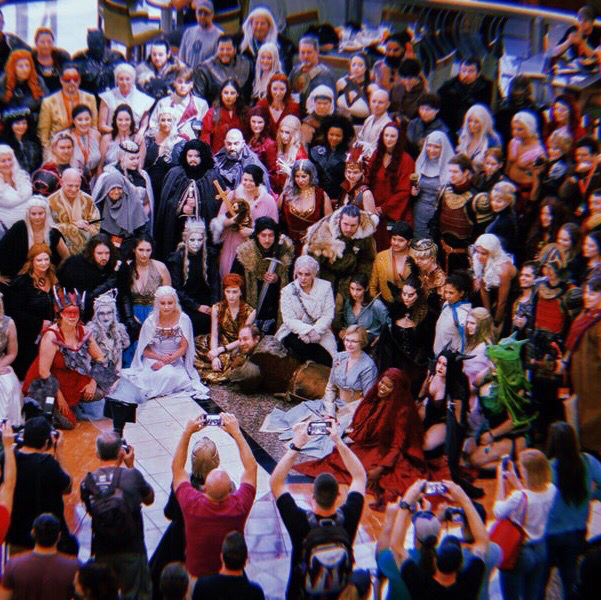 I don’t know the sources for the cosplay gathering or the Burlington presentation of the Spoils of War episode of Game of Thrones. 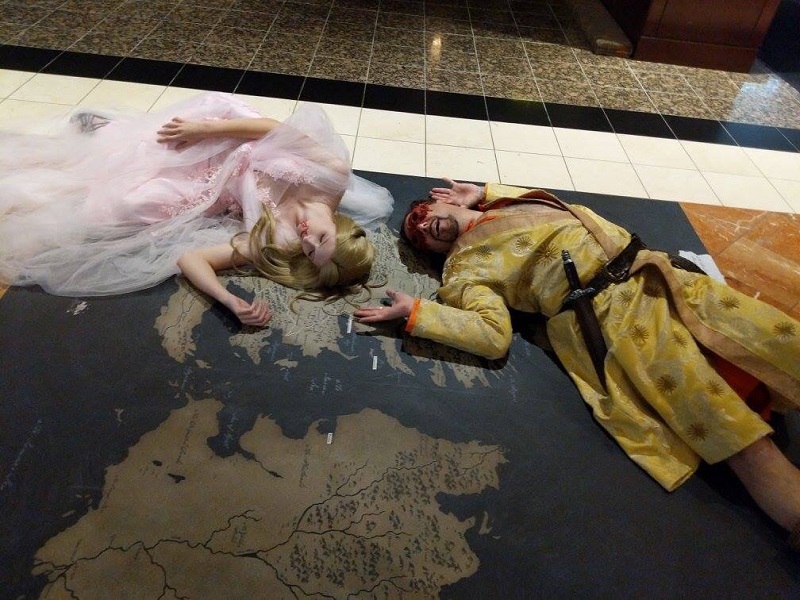 The last photo, of Myrcella laying dead in Dorne, and Prince Oberyn laying dead in Kings Landing was taken by Madison Ray, one of the convention cosplay judges. Lovely summary! Gosh, I wish I could go back and do all the things I didn’t get to. And how did I not even notice the Westeros/Essos map?! Excited to see where the con takes us next year. Thank you! And I know what you mean. I feel like I missed out on a lot. Very much enjoyed the report Patrick even though, as I’ve said before, I have never, ever seen GOT. The more I read, the more I think I may be missing out! You obviously had a great time! Thanks Peter! Even if you never watch Game of Thrones, I do recommend the first book, A Game of Thrones. Even if you never read anything else in the series, it’s pretty engaging. A shared passion is worth a great deal! I may save it for my old age! Is there a West(World)Con? Or do you think there’ll be one, given the interest and fan theories? Haha, you mean multiple disjointed timelines of recurring panels that only make sense if you attend each one. But the map to their location is a maze hidden in random places around the venue, but if you ask for directions the staff talk in riddles and you don’t actually know whether they work there or they’re a guest? Something like that? It would totally work…! You know EXACTLY what I’m talking about!